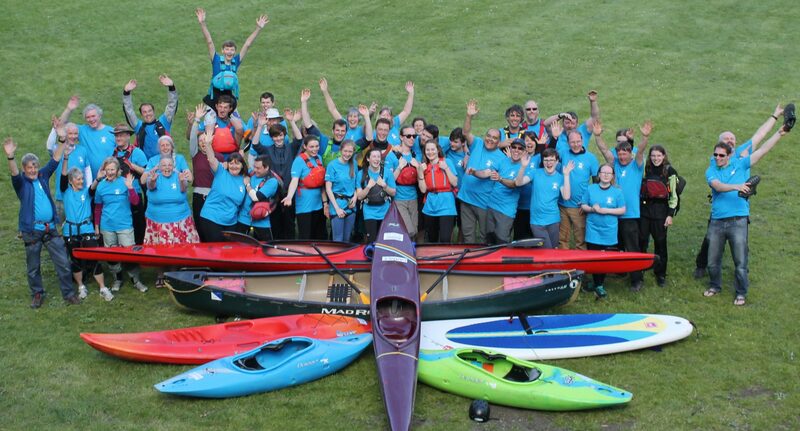 Claire Hardwick and Ian Flanders are currently running a series of Leader Training Workshops aimed at three star paddlers (Kayak/Open Canoe), who are considering taking their coaching or leadership awards, or just want to increase their paddling knowledge and confidence. These sessions are also open to younger members aged 14 and up, or anyone interested in the Paddlesport Activity Assistant Award. Sunday 29th July – Sea Kayak Skills, rescues and rolling. We will be continuing on from the session on the 17th June. However, you do not need to have attended in June to attend this session. 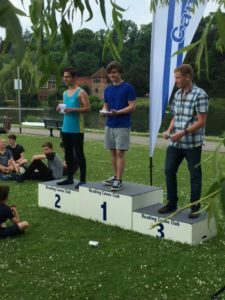 • Daisy Van Dijck finished well up the field in her first Div 9 … 4 mile.. race, having been racing in the Lightning class…2 miles.. for the past few years. 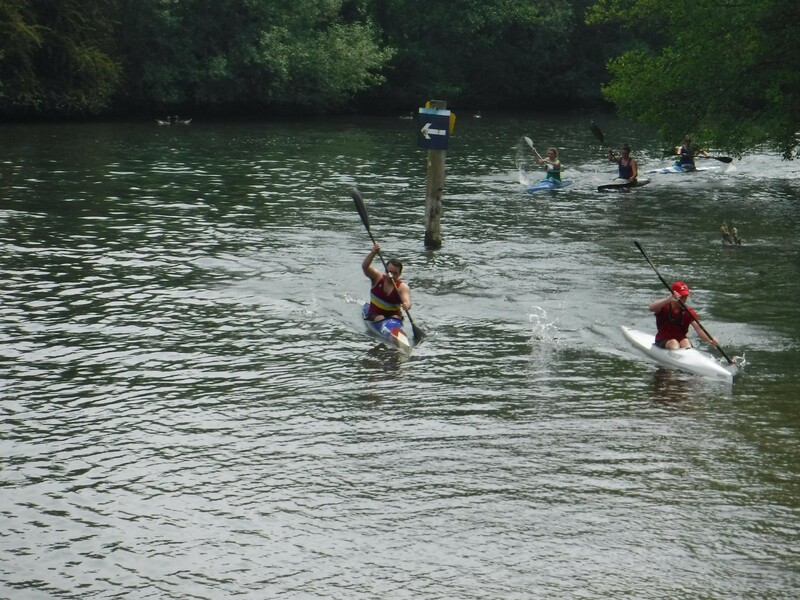 Diary date: The 2018 Pangbourne Hasler will be held at Adventure Dolphin on Sunday 9th September. 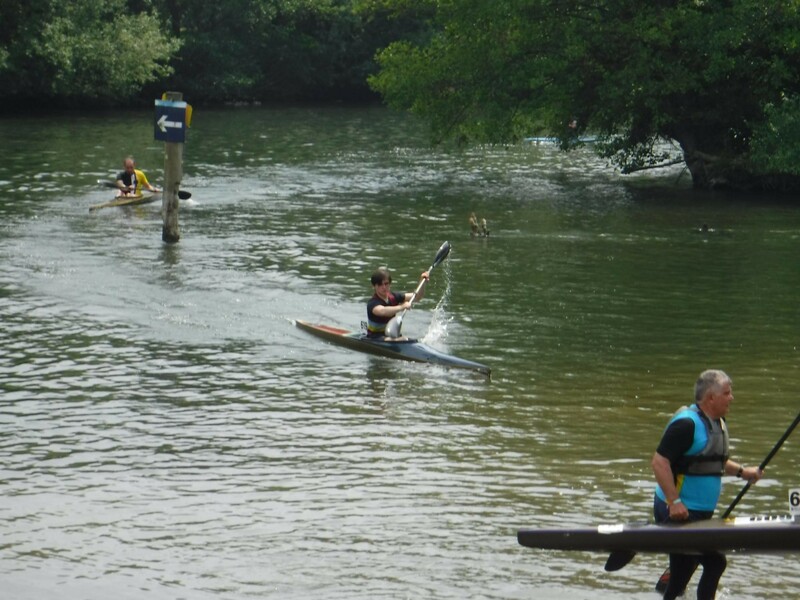 Adventure Dolphin, Pangbourne members gained respectable points at the Hasler race on Sunday. 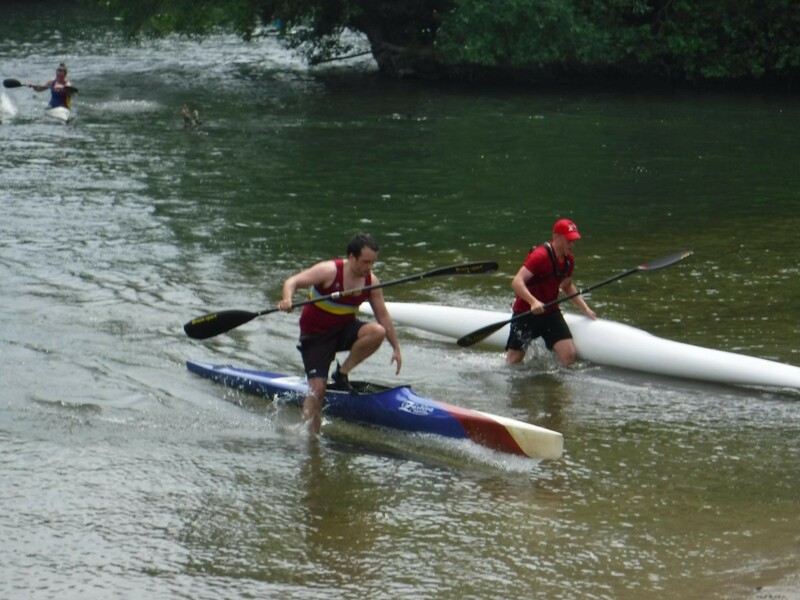 and raced again in the Hody event … being placed 2nd with Bruno from Reading CC. Many club members are not coaches or qualified leaders, yet they do perform the role of assisting within groups and in running sessions. 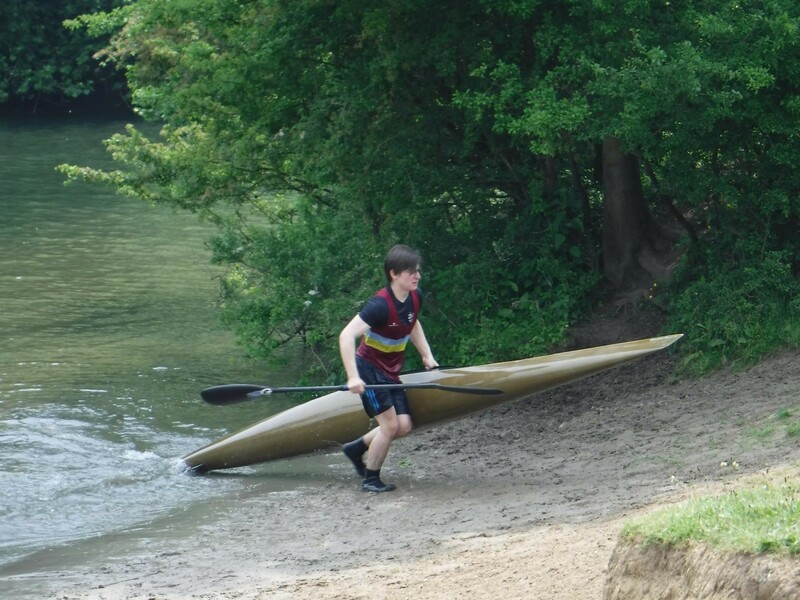 There is now a British Canoeing award available which recognises these skills. 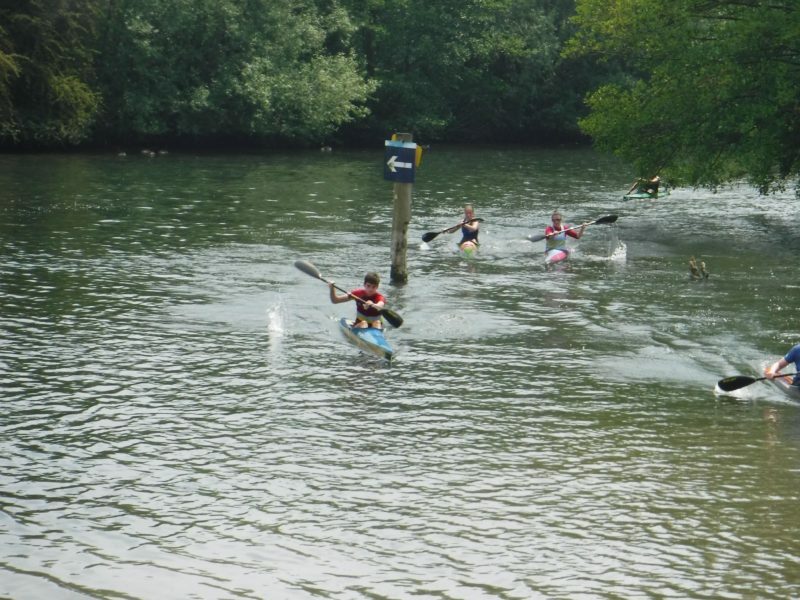 It is open to anyone 14 years and above and is ideal for young paddlers. In some ways this award replaces the old Cadet Leader scheme. 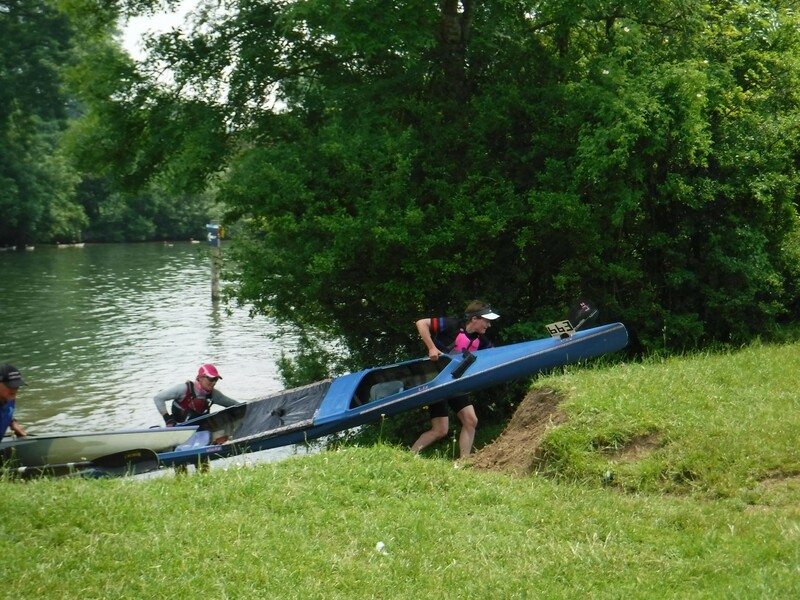 There are more details on the British Canoeing website. Don’t let the paperwork put you off. There are no requirements to attend a formal training course. Many of our helpers already have sufficient skills to qualify for the award. Some may want some short training sessions and assistance in completing the log book. We hope to offer training sessions for anyone interested in gaining this award. Wow, what an epic paddle. It seemed to have a bit of everything that a flatwater tour could ask for. River, canal, backwaters, tiny streams, urban, rural, herds of free ranging cows and horses on Port Meadow, picnickers on the banks, cyclists, walkers, over trees, under trees, even through trees! Once again an AD paddle enjoyed blue skies. 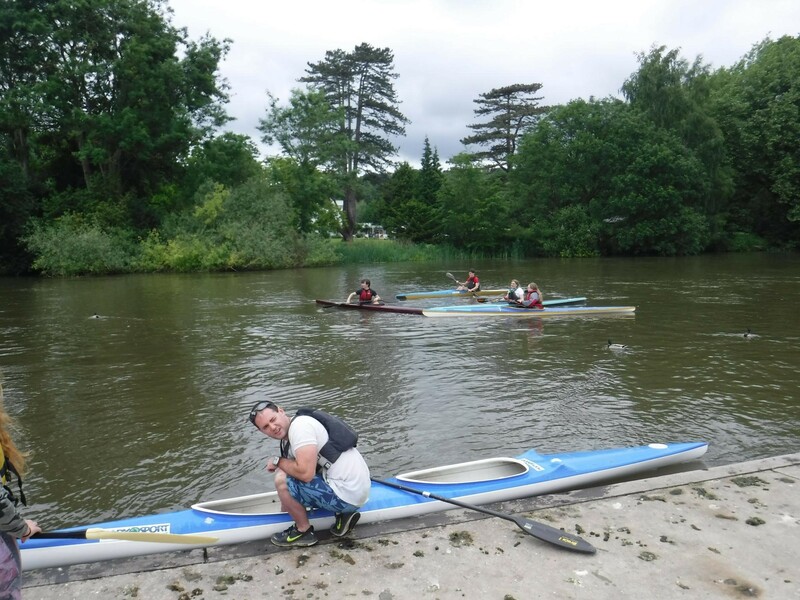 The start was at Wolvercote Car Park at the north end of Port Meadow, north of Oxford city. A lovely get-on next to a stone bridge and the first boat on had Tenzing in it. This was an attempt to stop him jumping in and out of everyone else’s boat as they were getting on. He still jumped in and out except it was the same boat very time meaning that more and more water was entering the boat via his coat. About five minutes after starting the trip we had to stop to bail out – 18 bails! So, down the river to Tumbling Bay the site of the old outdoor swimming which is now full of reeds. A portage and then down Bulstake Stream, a backwater of the Thames. Narrow? No, not as much as Hinksey Stream which we took to reach our lunch stop at The Fishes in North Hinksey. Of course, it meant the saw had to come out again. Third consecutive trip! Making our way back through the narrow up, over and through section we re-entered the Thames to paddle down to the mouth of Castle Mill Stream. This is the original route of the Thames going through the city centre and right up close to the Castle. Yet more branches but this time we realised that a pruning saw was going to be insufficient as a massive tree had come down across the stream. Team work portaging took us past this obstruction only to be faced with a ridiculously low bridge. Almost lying down in the boat to get through and then we saw the next obstruction. Lock gates and a climb up a two metre plus wall. A paddlers sling was set up as a stirrup and for some of us a bit of pushing and pulling from helpful hands and we were up. The final leg took us through the City of Oxford joining the Oxford Canal and paddling back to Wolvercote via an ice cream van! Some more portages and narrow streams took us back to our start point. 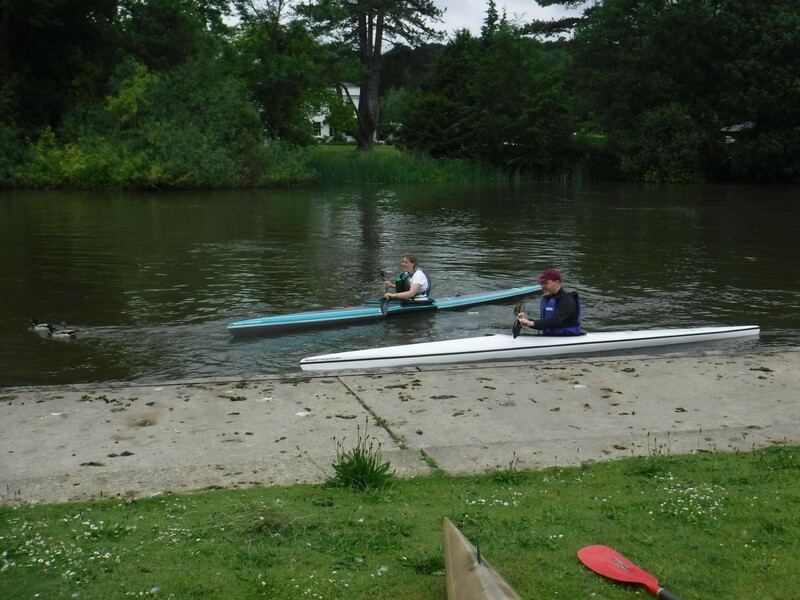 The circuit completed and at no point paddling against the current! All agreed it was a fantastic trip. Donna summed it up as: Just wanted to say thank you for a super day out yesterday. The Hatchett clan really enjoyed the day and the fantastic company. On a personal note – this time last year I would never have thought that I would be willing or able to wade through backwaters, limbo under fallen trees, scramble up steep river banks, clamber across unmanned narrow boats, shimmy up canal walls with use of a sling, navigate the underside of a very low lying bridge arch, talk to complete strangers with a passion about paddling while sounding reasonably convincing that I know what I’m talking about, or enter a pub in wet gear with a very muddy backside……all in a day trip for an AD member ah. Epic! 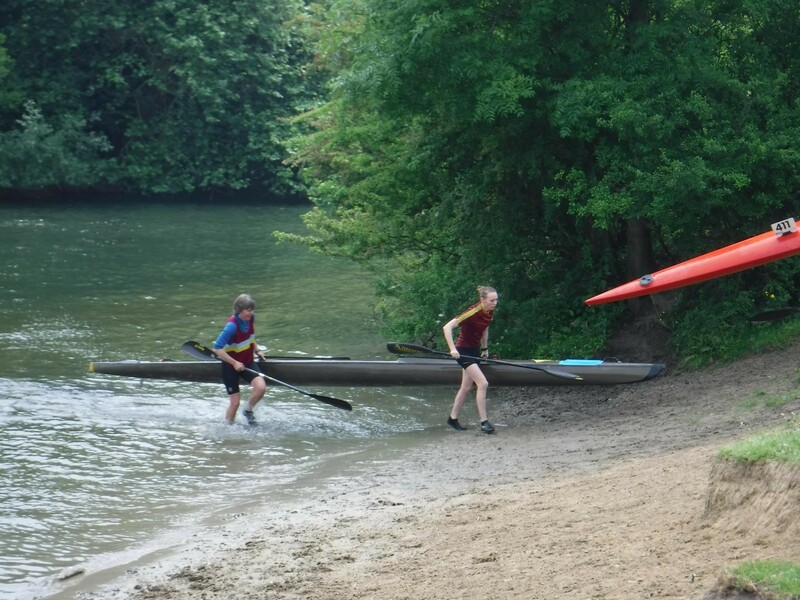 There has been some delay, but all coaches who attended our Standards Day event earlier in the year (25th March) should now have received an email from British Canoeing (BC) to confirm that they have an 18 month CPD update in their coach record. Please check your coaching file on the BC website to ensure that your CPD points have registered. Top tip: Sign onto BC website- Look at the Top right – Sign In, (Use BC number or your email address if you can’t remember log in details) – My profile – Credentials – You will find a list of your credentials – active and expired Awards, courses etc. Remember – the club can only deploy coaches that maintain their “Update” status. Coaches who have allowed their qualifications to lapse can still coach with us, but have to be supervised by a qualified coach and do not count as a coach when we calculate coach to participant ratios. Once again we were lucky to have a blue skies paddle on the Thames. Starting at the Wokingham Waterside Centre at Dreadnought Reach we made our way towards Sonning where of course we were obliged to pull up at the pub where ice creams were being sold by the riverside. By now the temperature had risen and we were pleased to enter the quiet sheltered waters of St Patrick’s Stream, a backwater of the Thames. What makes this a classic paddle of course is the drop in height of the river which creates a twisting gentle moving water paddle on St Pat’s. It was idyllic floating past the large houses and garden and seeing wildlife. We had received a warning from local paddlers that there was a tree down causing a passable obstruction. Any excuse for getting the pruning saw out! 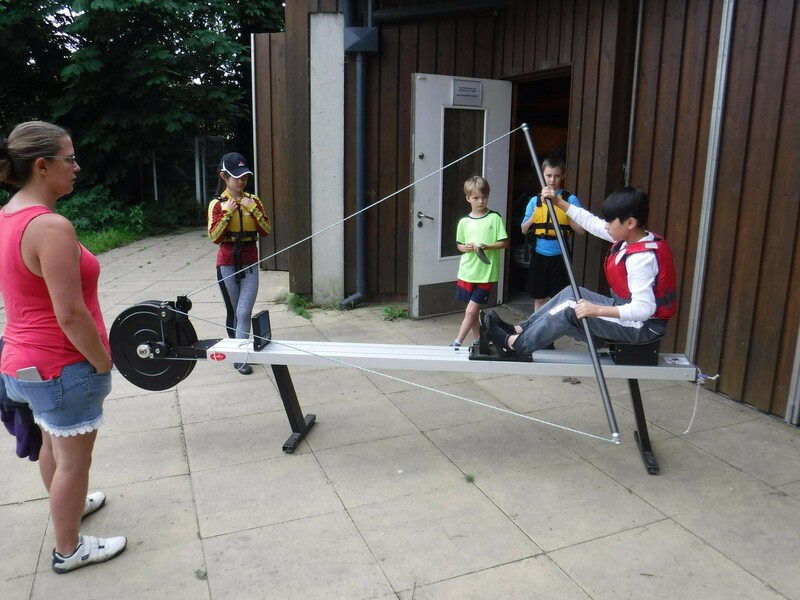 Exiting St Pat’s brought us to Wargrave Boat Club where we were warmly greeted and offered tea. We couldn’t stay long though as the club doesn’t admit dogs onto its site so we moved down river and had lunch on the bank outside the George and Dragon. The final leg of the journey took as down another backwater, this time Hennerton Water. Again lots of house with enormous riverside gardens, wildlife and by now very welcome shade from the sun. As it was bank holiday weekend there were many boats on the river which meant queueing at the locks but everyone was in good humour. We arrived at the Eyot Centre in Henley to the sounds of a brass band playing in the park. We felt we were being welcomed to the town. 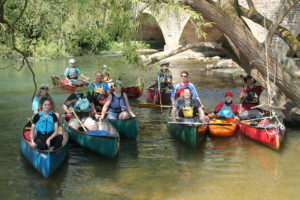 All agreed it was a lovely paddle and it was great seeing so many enjoying the river either on it – in a variety of boats – or on the river banks.